* A solely Malaysian born and first in the world Online Venue Booking (OVB) platform that promotes event venues and spaces with real time availability. * An event Conceptualiser is also offered for users to evaluate their event needs options and plan their event budget better. Great Venue Deals Sdn. Bhd. 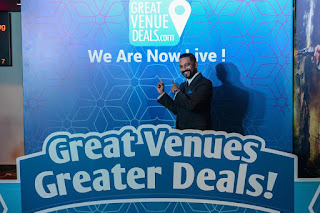 launched GreatVenueDeals.com, a Malaysian-born and first ever Online Venue Booking (OVB) platform that offers a myriad of venues and spaces with real time availability and immediate response from venue owners. 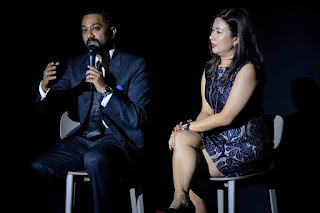 Launched at the TGV Cinemas 1 Utama, producers of the platform who are specialists in the events industry with more than two decades of experience under their belt highlighted its unique selling points. “GreatVenueDeals.com showcases tailor-made deals that are available instantly or based on customer’s preferred date and time,” says Andrew Anthony, CEO and Founder of Great Venue Deals Sdn. Bhd. “As events experts, we have seen a serious need to provide a solution to make the venue sourcing process easier and hassle free. It takes a minimum of one week to find a suitable venue and obtain costing from venue owners, if not more. However, with GreatVenueDeals.com, the venue sourcing process can be done within 10 to 15 minutes,” he added. The platform’s detailed R&D, testing, surveys and activations ensures GreatVenueDeals.com maximises venues’ potentials and market itself without any additional cost. Together with the complimentary detailed Venue Management System that comes with the platform, their effort to manage and promote their venues to its best potential is now realised. GreatVenueDeals.com has received overwhelming support and positive feedback from all venues approached thus far and this is evident in the 200 over venues that have jumped on the bandwagon even before going live. Being a completely Malaysian-born platform and first of its kind in the world, GreatVenueDeals.com would soon lead the way to revolutionise the way venues are searched and booked in the future, not only in Malaysia but soon across the globe as well. “I believe with our platform, you can easily execute the groundwork for any event with ease and minimal time spent. Of course our event Conceptualiser would make life that much easier too,” Andrew said. “We have professional, experienced, certified and award winning Events and Public Relations consultants from our Events and Public Relations partners, Define International Sdn. Bhd. and Define PR Hub at your full disposal. This service is available for all events you wish to organize.” To complete the GreatVenueDeals.com offering, the event Conceptualiser is available for users to evaluate their event needs options and plan their event budget. The platform’s PR consultants will be able to help when the event calls for the presence of the media. They are trained to handle press conferences and any media relations required. (From Left to Right): Mr. Andrew Anthony, Group CEO and Founder of GreatVenueDeals.com and Ms. Celeste Koay, TGV Cinemas Representative during the Media Q&A. The platform also offers ratings for all listed venues which are based on best deal values and real time guest reviews. This would improve and promote the regions respective MICE industry by helping agents and organizers seek and identify venues for their events in Malaysia more efficiently. By using GreatVenueDeals.com, they will reduce their search time by 70% which would lead to them leaning towards Malaysia as location of choice for their events. Venues can now also reduce sales & marketing costs and transfer the savings to their actual customers directly. In addition to this, it helps improve low occupancy periods by simply promoting amazing value added deals. GreatVenueDeals.com also offers a monthly report to all venue owners highlighting venue performance based on target audience and specific demographics.